If you are one of those people who went to film school and still cannot understand why they did not teach you how to get a job in the film industry, then I suggest that you stop complaining, gather up all the creative, hard working film production people you know, make yourself an independent film and enter it in some film festivals. If you win an award at a prominent film festival your life may change very dramatically for the better. Even a small award at a small film festival will more than likely set you on the path to having a career in the film industry. Most people attend film schools with big dreams of working in and possibly even making a name for themselves. They have visions of red carpet interviews, Academy Awards acceptance speeches and stars on the Hollywood Walk of Fame. However, most of them will never see those dreams come to fruition and they will face endless frustration and disappointment instead. After graduating from film school most people are expected to break into a business that is considered to be one of the most difficult in the world to find employment, unless you have connections, of course. For the ones without connections, it can be very frustrating. Unfortunately for them, the Hollywood film industry is run by a tight knit community that practices nepotism and rarely opens the door to newcomers. If you want to break into Hollywood but your last name is not Barrymore, Begley, Cyrus or Sheen and the only connection you have is a cousin who manages your local movie theater, then your best chance of success is to make an independent film and enter it in film festivals. 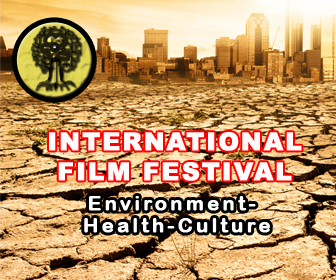 If you place in the top three of any category you enter you will usually be asked to send a film print of your movie to the film festival so it can be screened to audiences that attend these events. Film festival audiences are a combination of film critics, media reporters, film distribution representatives, film fans, celebrities and local residents. These are the people that can create a buzz about a movie after they see it. When a buzz is created about a movie at a film festival it usually starts in the theater lobbies and then works its way out into the media where it can take on a life of its own. If this happens to a movie it is destined to succeed, and the person who made the movie springboards into a career in the film industry. Just ask Robert Rodriguez or Quentin Tarantino about the value of film festivals and they will tell you. Winning a top award at any film festival is a good thing for any independent filmmaker. With an award comes publicity, and publicity is the life blood for filmmakers and their careers. Film distribution companies send people to film festivals to purchase products and they always follow the publicity to find their products. Many of the purchases they make are small movies made by people with very small budgets. An independent filmmaker can make a good profit from one of these distribution deals and make themselves bankable at the same time. If they can sell their movie to a distribution company, there is a good chance that they will be able to make more films with bigger budgets using money from investors, instead of their own hard earned money. It is very important that you choose the right film festivals to enter your independent film in if you want to increase your chances of winning an award. Of course it would be nice to win a major award at an event like the Cannes Film Festival, The Toronto International Film Festival or the Sundance Film Festival. But you have to be realistic and set your sites on a contest that is friendly to small independent filmmakers and their independent films. Worldfest Houston International Film Festival and the Austin Film Festival are two examples of the type of contests that are friendly to independent filmmakers working with small budgets. There are hundreds more out there and they come in all shapes and sizes. The Cannes Film Festival, The Toronto International Film Festival and the Sundance Film Festival are the biggest and most publicized film festivals in the world. Unfortunately, they are also the most difficult ones for small movies to be accepted into because of the high standards and politics that they employ. Most of the movies that win awards and get screened at the Big Three contests are made by independent film production divisions of the Big Six film studios like Warner Bros and Disney. By definition they are still considered to be independent films if no more than 50 percent of the funding comes from a major studio. But that fifty percent is usually millions of dollars, and this puts the production value in a whole different league than the films that are made by small time filmmakers with minuscule budgets. Also, most of these big budget festival films have big Hollywood stars attached to them which makes them irresistible to the contest judges and management. The Big Three film festivals have been invaded by the Big Six film production studios with big budget movies masquerading as independent films. This makes it very hard for a movie that was shot with a digital camera on a shoestring budget to compete at Cannes, Toronto and Sundance. These kinds of films have a much better chance of winning an award at a contest like Worldfest Houston or the Austin Film Festival because they are more interested in showcasing film talent than they are catering to the Hollywood film industry. Choose your film festivals wisely and you will increase your chances of winning an award and securing a distribution deal. Michael P. Connelly is an Author, Artist and award-winning Filmmaker who writes on a variety of topics that effect people in their every day lives.